We were in Paris last week (more on that later, I promise!) which flew by so, so quickly. There were lots of meetups with friends and family squeezed into each day, and Avienne adapted quickly to city life in a stroller and on the métro. She also had no problem adapting to all the pastries and desserts in pretty much every corner of the city. 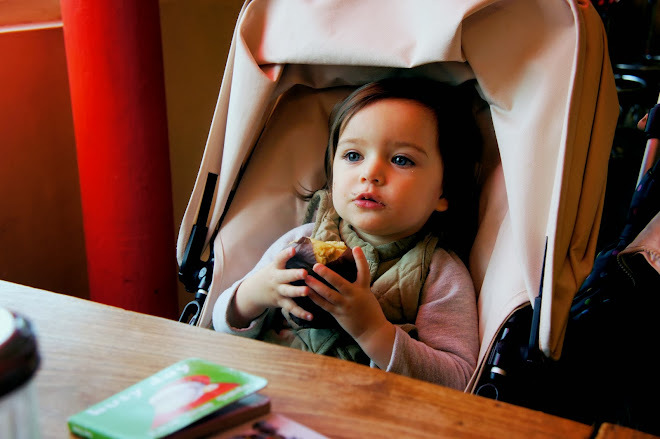 Sitting down for coffee or lunch was sometimes a challenge in cramped cafés and narrow restaurants, but we managed to figure it out and really enjoyed hoofing around Paris with this curious baby in tow. Looking so grown up! Paris and Rance in general are not so stroller-friendly!